Written by Artangel's James Lingwood and Henry Moore Foundation director Godfrey Worsdale, the just published ACE-commissioned report followed last June's ACE NPO announcement which saw Bristol's Arnolfini and Situations lose their funding. An Arts Council England-commissioned report has published a series of recommendations that it says will provide “a sustainable step-change for the visual arts” in Bristol and be “a catalyst for positive developments”. The Bristol Visual Arts Review has been written by Artangel director James Lingwood and Henry Moore Foundation director Godfrey Worsdale. It was commissioned last September following June’s NPO announcement which saw Arnolfini gallery and Situations dropped from the arts funder’s national portfolio, with ACE instead ring-fencing £3.34 million for the visual arts in Bristol for 2018-22. The Review places Arnolfini, which under new director Claire Doherty has been trialling a series of new approaches, at the heart of any future plans for the visual arts in the city. 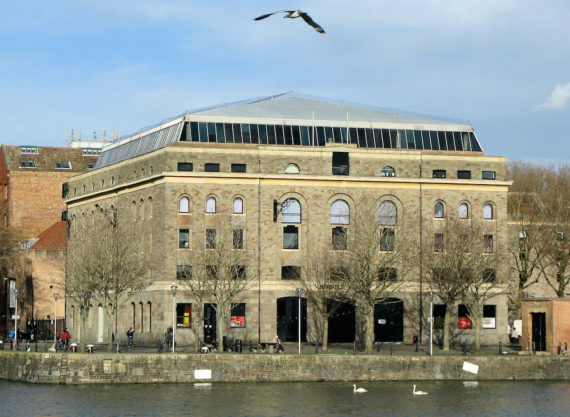 As part of this, it recommends that a “different partnership” needs to be developed between Arnolfini and the University of the West of England (UWE), who own the freehold on the Arnolfini building and agreed a new lease in 2015. “This cannot be achieved through a tweaking of current arrangements,” says the report, “it will need a radical reworking to ensure step-change is achieved and built upon. Arnolfini lost its ACE NPO status in part because it was seen to have an unsustainable business model. In their report, Lingwood and Worsdale state that “the responsibility for the conception and delivery of a successful financial operating model should be shared between the Arnolfini Board of Trustees and UWE. The pair add: “[W]e believe that the priority over the next four years should be to make the building [Arnolfini] a vital centre for contemporary art, artists and a broad audience.” To deliver this, they recommend that from 2018-22 ACE “makes a substantial investment” in an “ambitious year-round programme in the Arnolfini spaces”. While the majority of Lingwood and Worsdale’s report focuses on Arnolfini, they also recommended that “an investment is made in a new fund for a co-ordinated city-wide visual arts project… to take place either annually or every two years, from 2019, in the Greater Bristol area”. Stressing that the project should not replicate existing models such as Glasgow International and Liverpool Biennial, they state that Bristol “can build its own model, drawing on its unique strengths, including its current festival activities, and pooling its energies to produce a project which feels specific to the city, its artists and its audiences, and that resonates nationally and internationally”. They add that ACE should invite organisations “based in Bristol or with strong links to the Greater Bristol area” to come forward with proposals for the project. The Review also expresses the need for investment and support for artist-led activity in the city, citing the need for “increased professional development opportunities and affordable workspace”. 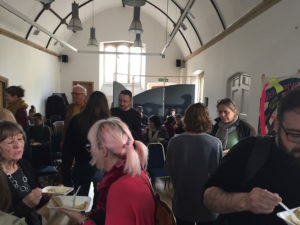 In doing so, its main focus is on the centrality of another Bristol visual arts institution, Spike Island, which it describes as “an exceptional model of good practice in supporting artists’ development, and a significant asset to the city and the region”. An “internationally significant programme” at Arnolfini. To this end it states that it will invest £180,000 from its ring-fenced fund “in a small team led by Claire Doherty [director] at Arnolfini” for the period April-September 2018 in order to work with UWE to develop a sustainable business model for the gallery. The creation of “a collaborative commissioning programme focusing on a broad spectrum of commission formats, locations, participants and audiences”. This, states ACE, will aim to provide opportunities to strengthen Bristol and the West of England as a visual arts destination for audiences and practitioners. 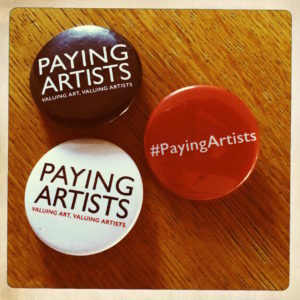 Provide professional development opportunities for artists at all stages. ACE states it will “identify additional resources to address these needs”. The Review is likely to be seen as a missed opportunity by many artists in the Bristol area, although the recommendations are unlikely to come as a surprise. Writing for a-n News in November, a group going under the name We Don’t Need Gatekeepers called for a radically different approach to the visual arts in Bristol, arguing that artists – rather than instititutions – needed to be put centre stage. 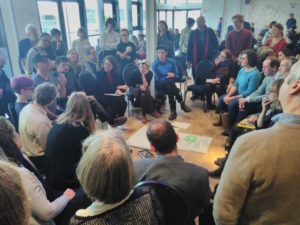 Responding to a Bristol Visual Arts Review public consultation at the city’s MShed which attracted around 200 participants, the group questioned the ability of the Review to deliver meaningful change and asked what “an experimental and transparent redistribution of funding would look like”. The group has yet to formally respond to the Review. Last November also saw an ‘informal collective of artist-led projects and individual artists’ in Bristol send a four-page letter to ACE which expressed a desire to open a dialogue with the funding body on the future development of the visual arts in the city, while also requesting to be further involved in the Review process. However, a-n News understands that the group was not contacted by the Review’s authors, who in the report list three artists out of a total of 22 ‘individual consultees’. Arnolfini director Claire Doherty has welcomed the Review’s recommendations. She said in a statement: “We are really pleased to see that the significance and potential of Bristol’s dynamic and vital visual arts ecology and the city’s appetite for a ‘vibrant critical culture’ has been recognised in this review. “We particularly welcome the Review’s recognition of the value of Arnolfini’s identity, reach and spaces, its identification of the urgent need for support across the artist-led sector and the opportunity that a city-wide visual arts project might bring to catalyse new opportunities and ambitions. “Arnolfini is already working in collaboration with UWE and other partners across the city to radically reimagine both our business model and our future programming vision.